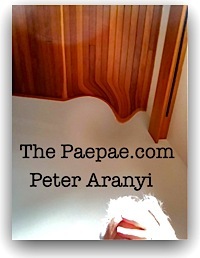 ‘Spin’ (bending reality), is not a phenomenon just confined to politics. Wow, THANKS BNZ for giving us back some of the money you gouged from us when forced to by High Court action. ‘Rebate’, BNZ? Riiiight. 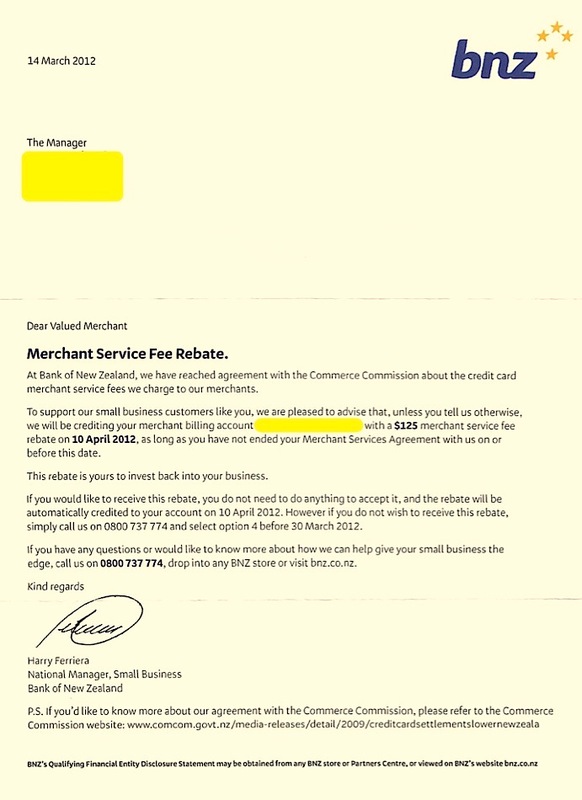 But, funny, when I read the October 2009 detail of the ‘agreement’ the BNZ has reached with the Commerce Commission referred to in the postscript, I see it was the result of High Court action against financial institutions … which seven settled: ANZ National, ASB, Westpac New Zealand Ltd, Bank of New Zealand, Kiwibank/New Zealand Post, TSB Bank, and The Warehouse Financial Services Limited. The Commission claimed in High Court proceedings that the parties breached the Commerce Act by agreeing and implementing the Visa and MasterCard credit card scheme rules in New Zealand which, among other things, provided for the payment of multilateral interchange fees. The Commission alleged that these rules substantially lessened competition by artificially inflating the cost to retailers of accepting credit cards and ultimately raising prices paid by all consumers. Relevant sections of the Commerce Act. The proceedings are brought under sections 27 and 30 of the Commerce Act 1986. Section 27 prohibits contracts, arrangements or understandings that substantially lessen competition. Section 30 prohibits price fixing, which is when people or businesses that are in competition with each other agree to control, fix or maintain the prices for the goods or services that they supply. Price fixing is deemed to substantially lessen competition under section 27 of the Commerce Act. Thanks for the support BNZ. Well spotted, Peter. They almost got that under the radar.